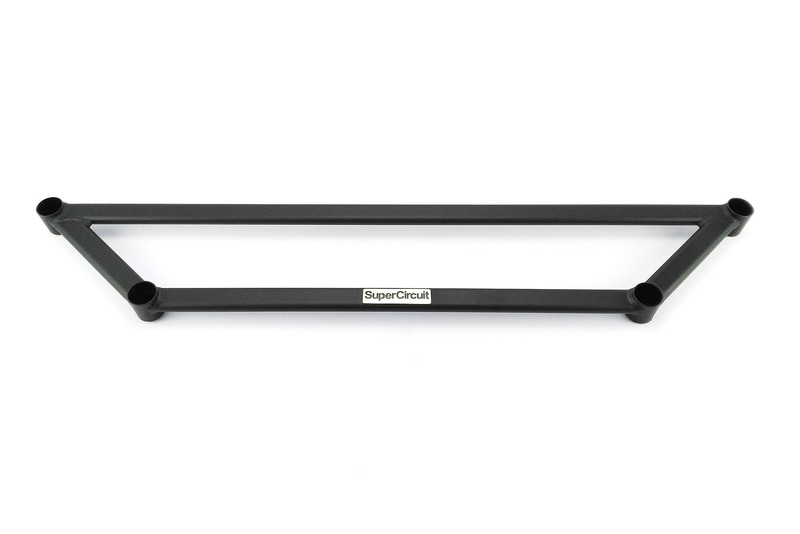 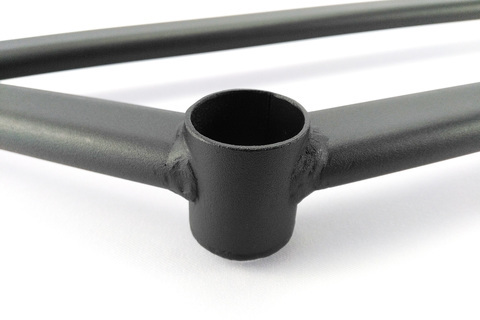 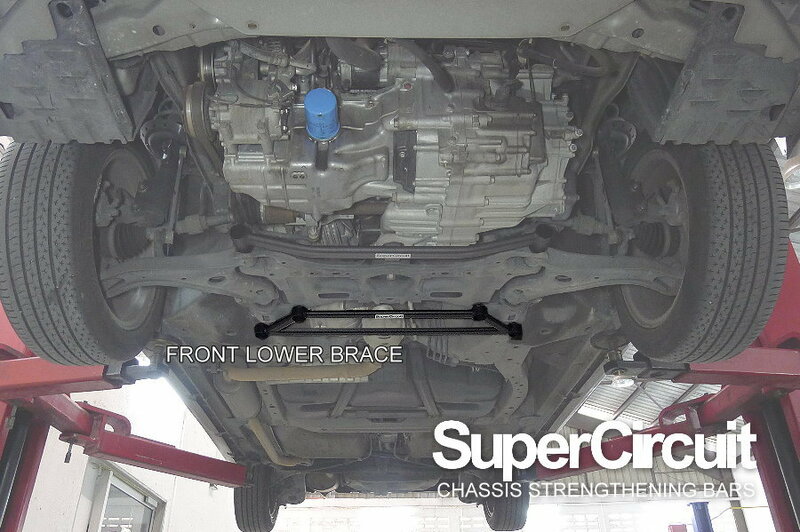 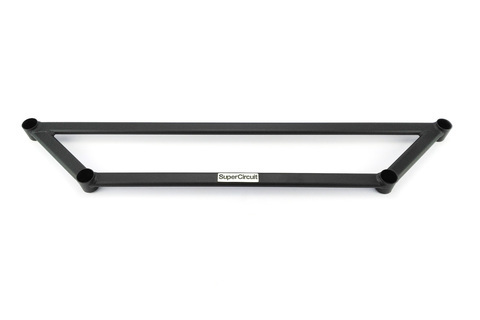 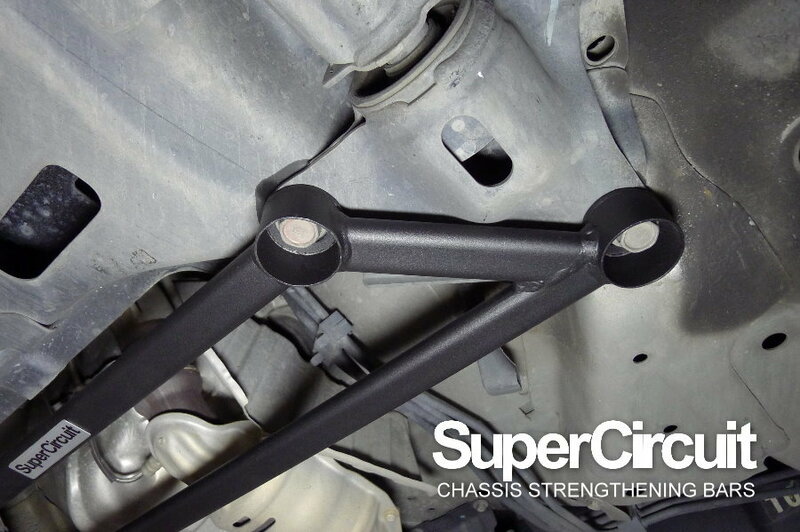 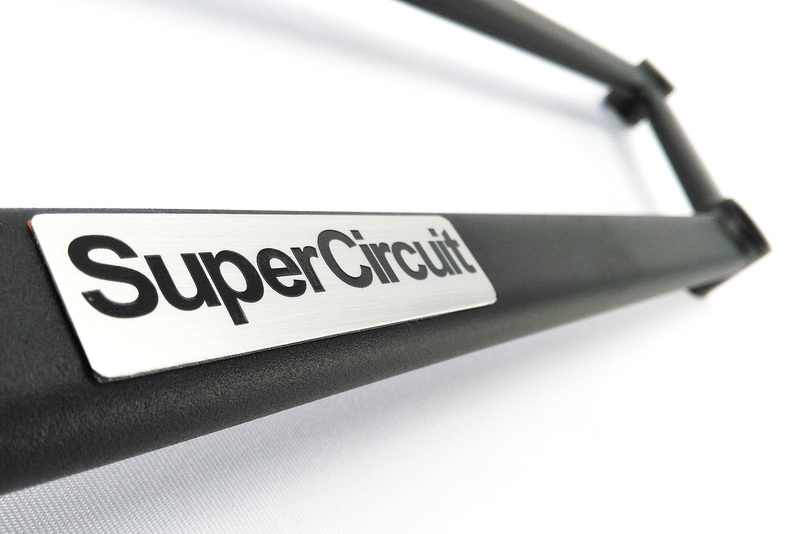 SUPERCIRCUIT HONDA CITY GM2/ GM3 Front Lower Brace Bar. 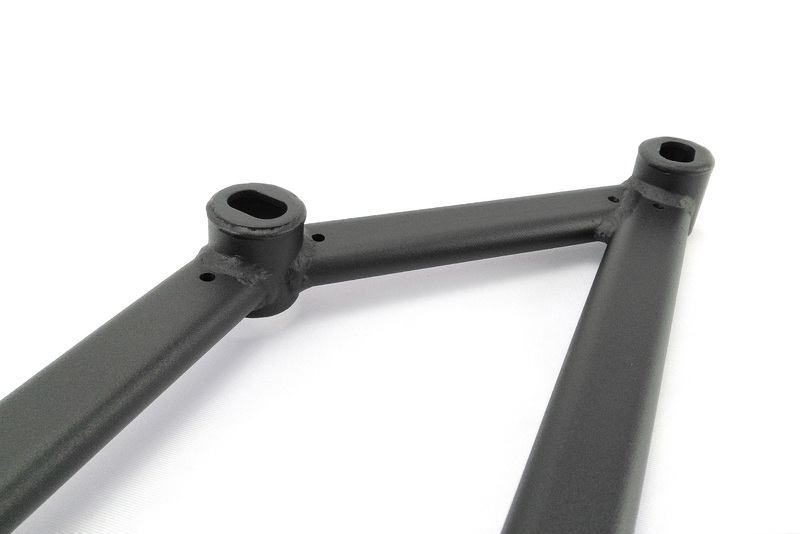 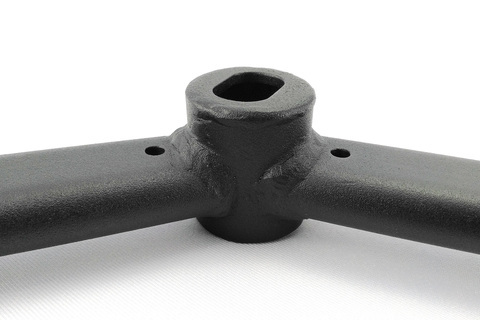 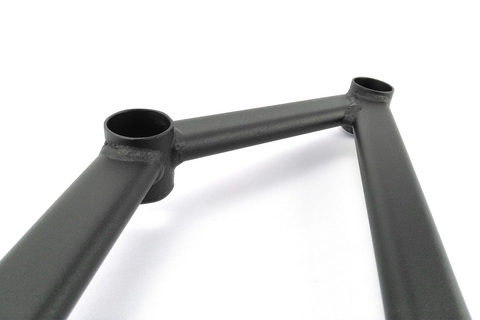 Industrial grade matte black coating is scratch resistance and it is matching well with the chassis for a professional and original look. 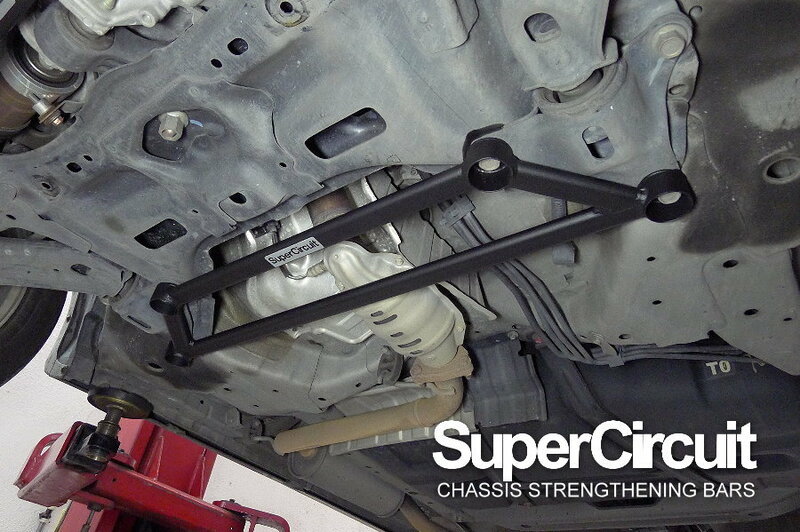 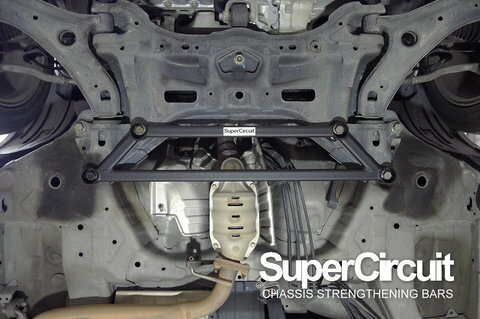 For optimum front chassis strengthening effect, match the above lower under bar kit with the SUPERCIRCUIT Honda City GM2/GM3 FRONT STRUT BAR, FRONT UNDER BAR, REAR LOWER BAR & REAR ANTI-ROLL BAR.